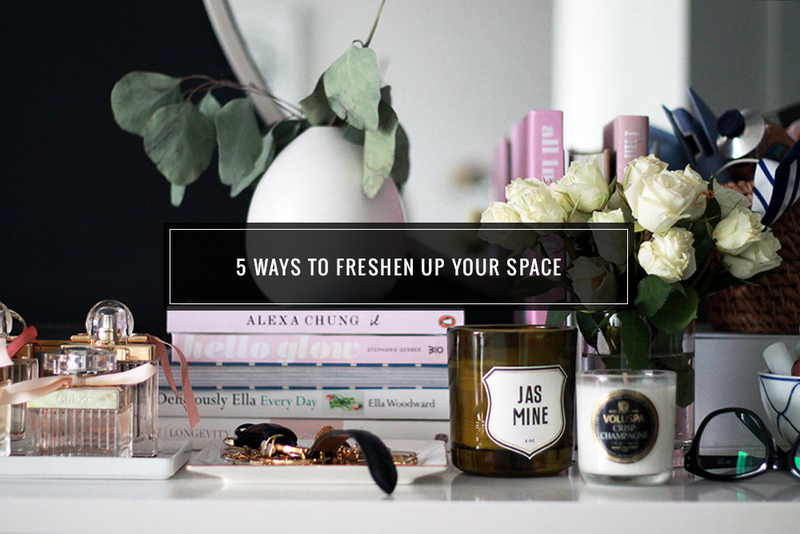 With Spring just a few weeks away is time to not only do some Spring cleaning and purge your closet (I always go through my closet with every change of season to get rid of what I’m not wearing, give space for new items, declutter and feel lighter) but give your space a little refresh, and while big ticket items are a great way to introduce a new look into your home, they are definitely not the only way to freshen things up. 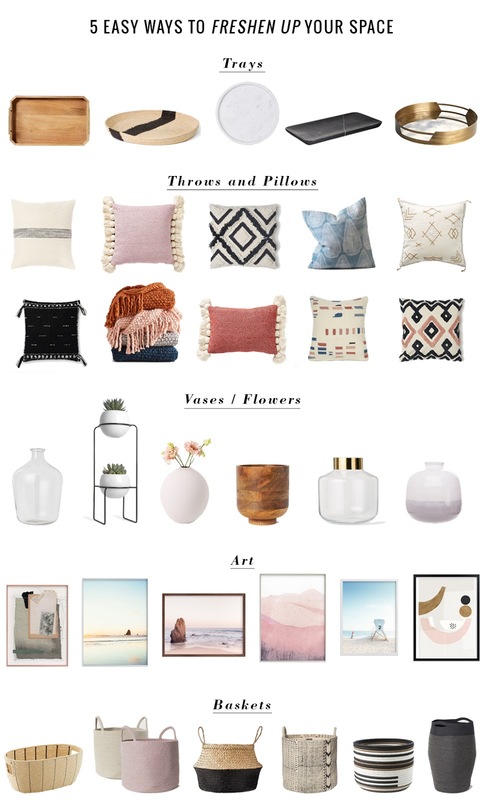 Some of my favourite ways to spruce up my home without breaking the bank include changing some pillow covers, swapping a heavy and warm throw for one that is lighter in both texture and colour, buying some fresh flowers, giving the walls a new look with different art, and incorporating some decor items that are stylish and practical. Below you’ll find 5 easy ways to add some fresh style for Spring!